2016 is underway and a whole month is behind us already! What happened to January!? It might have moved fast, but a whole lot happened last month, so we’ve whittled through the iOS app updates and new launches to bring you a more highly-curated list than ever before. In short, the apps on this list are the ones worth checking out. Although there are a lot of selfie apps available on iOS, Microsoft’s recently launched app that has just one job: to make you look better in your selfies. Unedited (left), Microsoft Selfie’s ‘Cool’ filter (right). It uses an algorithm to detect your age, gender, skin tone, the lighting and a few other things to let you simply apply filters (called themes) to the images. You can choose how much the effect is applied via simple slider. It’s perhaps not the absolute best selfie app out there, but it’s an interesting option for sure, given Microsoft’s work on machine learning around age and emotion. Somewhat bizarrely it arrived without the ability to share the resulting photos on social networks, but that has been resolved with a subsequent update. Lots of smart assistants claim to be able to help you organize your life, but few live up to that early promise. Hyper seems to be the exception to that rule, it’s a a travel booking service AI that’s trained by humans to make sure there are no hiccups along the way. The key to Hyper is simplicity and a curated list of final options from which to book – not a massive sprawling list of fares that are complicated to work out for a multi-leg journey. The bot can create a complex itinerary for you, and can even handle last-minute changes and reschedule your trip, all backed up by human verification of the details – provided you’re willing to pay. Last month, the addictive card game Exploding Kittens came to mobile for the first time – and who said digital was killing an analog world? The breakout hit from The Oatmeal’s mobile debut is sorely missing a remote multiplayer option (that should arrive eventually though) but you can connect with up to five friends in the same room via Bluetooth or Wi-Fi. Fun? Yes. Noisy? Yes. And there’s even new cards that don’t exist in the real-world game. You will need to pay $1.99 to get it though. There are plenty of apps for tracking steps, and plenty of apps to tell you how many calories are in food, but why go to the effort of putting those two things together with your own thoughts when Movesum will do it for you. Yep, that’s right. Want to know how many steps it’s going to take to walk off that burger? Movesum will tell you. And not just for a burger, obviously. It’s also available or Android devices too. Cloud storage is everywhere. That’s really its appeal, and one of the major drawbacks of using disparate cloud services for different purposes. Cubes is here to make sense of that mess of cloud-stored files and display them in an easily navigable list. Once you’ve connected up your cloud accounts (and social, if you like), it’ll show you every photo, document, PDF, media files and even links, and arrange them by person, service, interest or type, which means no need to add tags. Currently, Cubes is offering six months of free service – and hasn’t listed how much an upgrade will cost in the future. When that limit is switched on, you’ll be limited in how far back in time you can scroll back through your files. An Android version is on the way. Unhand Me’s premise is simple: stop people from messing with your phone by getting an audible alert if any ne’er do well picks it up. Yes, it’s not going to replace ‘Find My iPhone’ but that’s not a lot of use until you realize your phone is gone, which is a bit late. By default, as soon as an unauthorized person picks up your phone it shouts ‘Unhand me, you beast!’ and lets out a scream. You can change this though. If you’re within range of your Apple Watch, you can get notifications there, or set it to tweet out an alert with an approximate location. You can play around with the settings to make sure it isn’t going off all the time too, which would be pretty annoying. It’ll cost you $1.99 for this particular slice of peace of mind though. What do you love? GIFs! When do you love them even more? With live filters! That’s what Piku Piku is hoping at least. The captured GIFs loop forwards and backwards, and in addition to getting a range of (premium) live filters, you get things like a self-timer and camera switching controls. When you’re done, you can share them straight to your social network of choice – and if the network doesn’t support GIFs, it’ll post as a video instead. You’ll need to cough up $4.99 for the full range of features though. If even the thought of your schedule brings on a panic attack, Proud for iOS is probably worth checking out. It’s an organizer with a focus on your wellbeing, as well as your timekeeping. As you might expect, it divides tasks into three main sections (Lists, Upcoming and Done) but also includes a goals section to give you something to work towards. 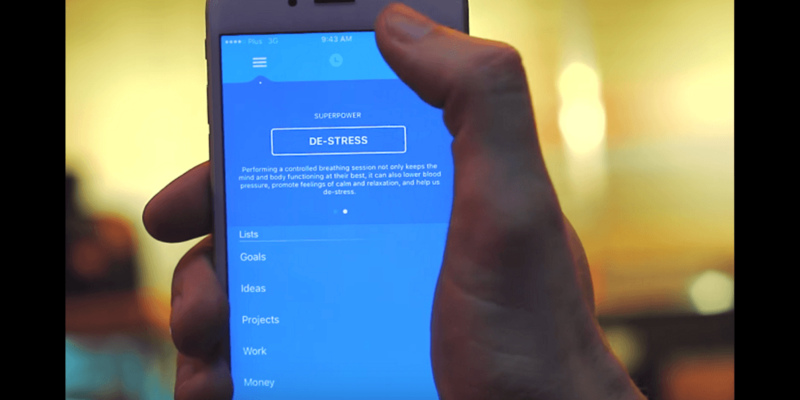 A swipe left at any time reveals suggested tips to help you de-stress if you’re feeling overwhelmed, as well as a whole bunch of other features to explore. It will cost you $4.99 to find out if you’ll find its features useful for you, though. If you’re looking for a simple way to host on-the-fly interactive podcasts, ZCast is one of the easiest ways going. Available to download or use on the Web for free, ZCast lets you interact with listeners during your broadcast, giving it a more personal feeling for smaller audiences. That’s convenient, as right now streams are limited to 1,000 listeners and there’s no replay functionality, but it’s still early days. If you have a whole bunch of music files tucked away in your Dropbox, then Jukebox lets you turn that into your own offline streaming service. It’s early days right now, but the team is working on adding a private sharing option that would allow you to share snippets of tracks with certain people. It’s free for now, and there are no ads to worry about either. Rounding off the list for January is Hyperspektiv, an app for making your photos and videos look straight-up odd. Far beyond your regular ‘filters’ apps, Hyperspektiv focuses on bringing real-time algorithmic distortion to photos and videos, and you get to control the strength of the effect by moving your finger on the screen. There are 27 preset effects to play around with, and while there’s no Android version right now, one should arrive eventually. The price for access to this world of weird glitchy images and videos is $1.99.